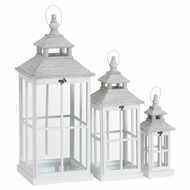 Add a beautiful lighting addition to your home with the Set Of 3 White Window Style Lanterns With Open Top. 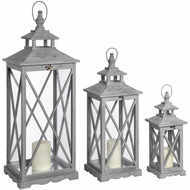 This is a gorgeous trio that would make a beautiful addition to any home, they can be used to create warmth around the house through candle light and the white finish ensures they will fit in with most colour schemes. 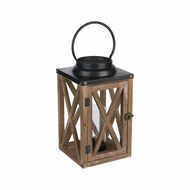 Team this with the delicate detailing and understated styling to create the perfect lantern style.